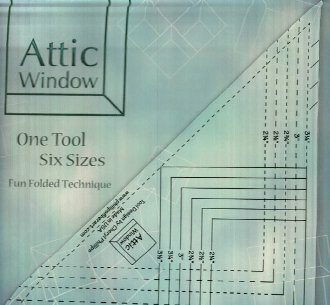 Introducing the Attic Window Tool One simple tool......so many possibilities! No "Y" Seams! Makes Six Sizes What's hiding in the attic window? 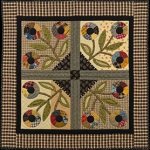 You can decide with this fun, attic window block combo! Includes acrylic triangle tool, and the secret folding technique to make your blocks without the Y-seam! Let your imagination take you away so your windows reflect pieces of you or your loved one!